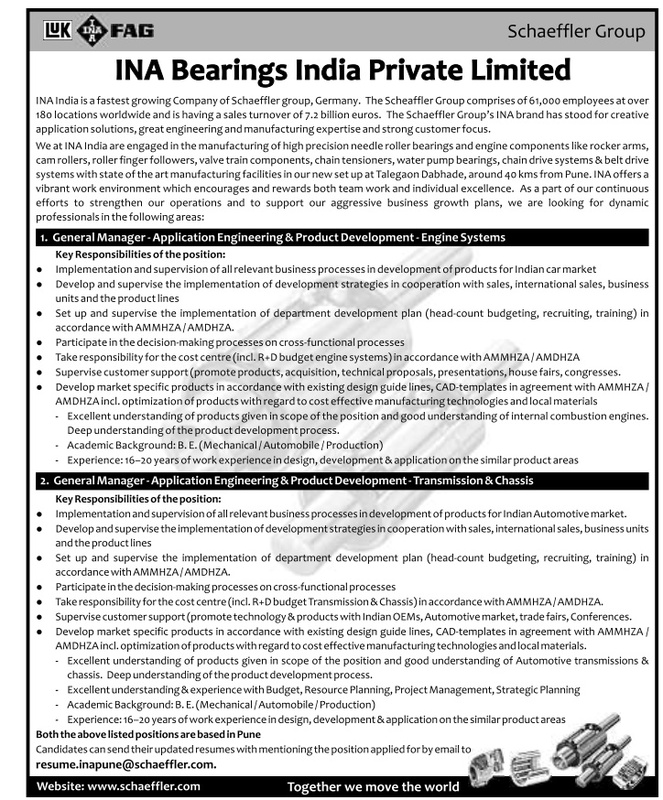 INA India is a fastest growing Company of Schaeffler group, Germany. The 5cheaffler Group comprises of 61,000 employees at over 180 locations worldwide and is having a sales turnover of 7.2 billion euros. The Schaeffler Group's INA brand has stood for creative application solutions, great engineering and manufacturing expertise and strong customer focus. - Excellent understanding of products given in scope of the position and good understanding of Automotive transmissions & chassis. Deep understanding of the product development process. • Experience: 16-20 years of work experience in design, development & application on the similar product areas.